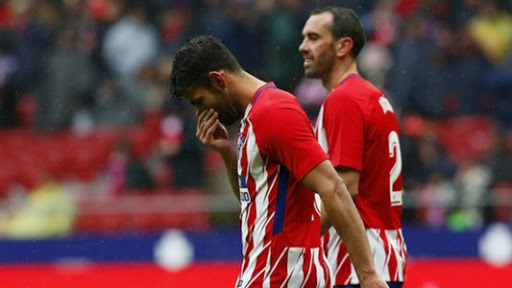 The Royal Spanish Football Federation (RFEF) has rejected Atletico Madrid's appeal against the red card given to Diego Costa in the win over Getafe. The striker was booked for a second time for celebrating among the supporters after scoring his side's second goal in their 2-0 victory at the Wanda Metropolitano. Atletico appealed against the decision but the RFEF's disciplinary committee has dismissed their argument, meaning Costa must serve a one-match ban and pay a fine of €600.